After we cleaned the kitchen and put away all the platters, I made myself a cup of tea and thought about what could be done differently. This Thanksgiving was our first year actually cooking and hosting and honestly, for two longtime ex-vegetarians, preparing a turkey feels like a pretty major task. The week before, we had family in town for Oliver's first birthday party and between baking cupcakes, ordering helium balloons and thinking through a simple brunch menu for close to 50 people, I felt pretty spent as far as entertaining was concerned. So Sam took on all things turkey, and I made my cranberry sauce and pie Wednesday night. A good compromise. And yet, it still felt like a lot for some reason and I found myself pacing around the house throughout the day, deliberately staying out of the kitchen and wondering at what point in adulthood things feel more natural (if not actually seamless) when it comes to entertaining during the holidays. A wintery spiced ginger, citrus and graham cookie recipe made with 100% whole-grain flour. Wonderful with tea and coffee, and surprisingly moist, tender and chewy. 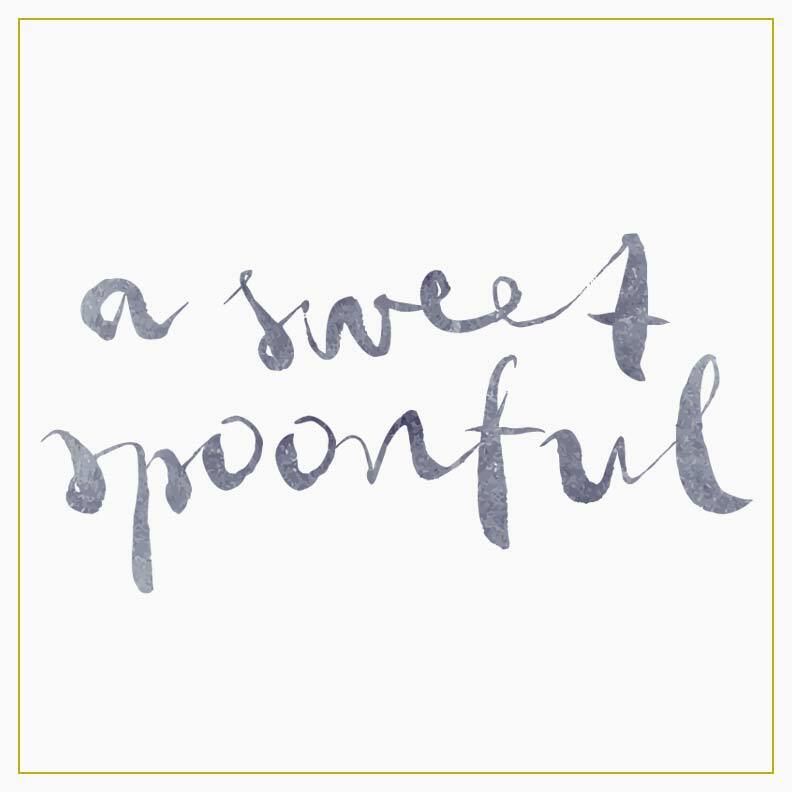 I do believe this may be the first ever A Sweet Spoonful Gift Guide. And I'm excited to share with you a few things that are making me happy right here right now, and that may make a few of your loved ones smile as well. Gift guides are kind of a funny thing, aren't they? They're from a very particular point of view and perspective, so you'll notice that mine are heavy on the treats and books. Shocking, I realize. Before we get started, have you ever stopped to think about what makes a really good gift? Something relatively unique that you don't necessarily find in every big-box store. Something that will make people smile--that will indulge the senses or the imagination or the mind. I think you'll find one or all of those things here. Happy gifting!